On Saturday I attended this years Fashion High Tea and as usual it was filled with gorgeousness. People came slayying, the organization was perfect to the T and the mini boutiques were amazing.... I literally wanted to buy most stuff. If you have never attended #FHT before I think you should make a point of gracing the event next year....you will be shocked by how vibrant and cool it is. I met incredible people this year and also many of my readers and followers. It was nice catching up and having a few laughs here and their. The food and the cocktail drinks swooped me away. The mouth watering deliciousness at Zen Garden is perfect. 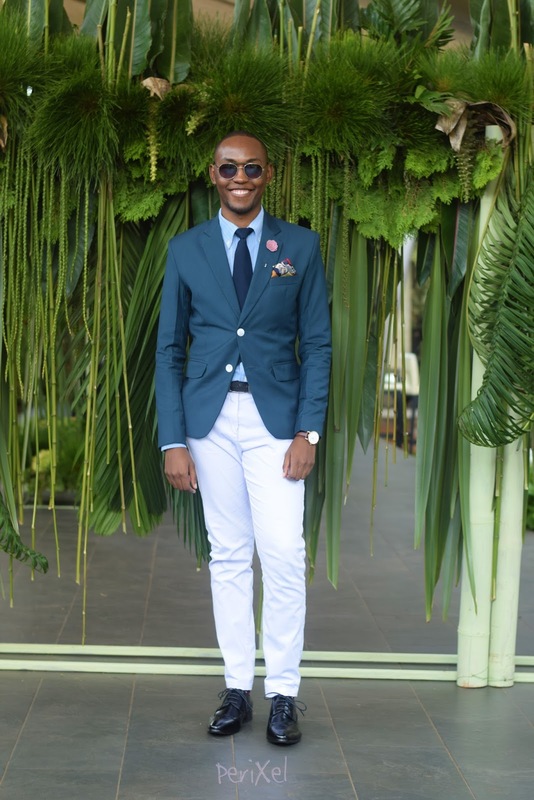 At this years event I wore a pine green coloured blazer which I matched with white slim fit trousers, navy blue tie, sky blue long sleeved shirt and black oxford shoes. 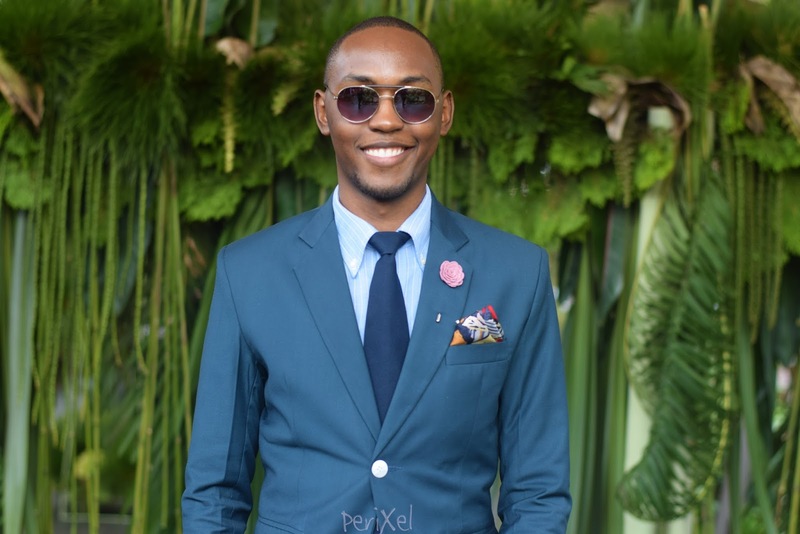 For the details I wore a pink lapel pin, round frame sunglasses, pocket square and a Daniel Wellington watch . I also got best dressed which was quite nice and that got me very excited. Thank you to the whole Zen Garden team for making this possible😊. See more pictures down below⬇.. This has made me feel like I attended the event. So nice and your outfit was BOOM!